Every day of of every year, people all around the world have one thing that happens to them, whether they like it or not… their birthday. It’s the one day of the year that just feels different. It’s the day that you wake up and say to yourself ‘it’s my birthday’, even if no one else knows or remembers. Birthdays are a pretty big deal in the United States and are surrounded with tradition, friends and family. What can we usually expect? Well, a gift or two, a song sung out of tune, a candle and of course, a cake to put it on! 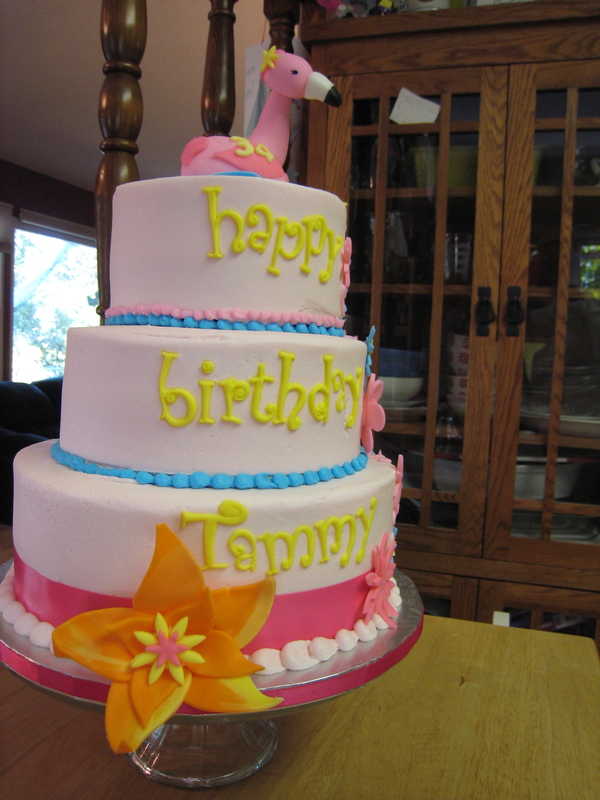 For Tammy Donahue, this year’s birthday was going to have all of those traditional things… with one extra, a surprise. Now the guests were expected, the food was all ready, but the design of the cake was a surprise that only her husband knew about. These two were the lucky recipients of the live auction Confectionery Cake Shop gift certificate from BABS Nights (Bethlehem Academy’s Annual Fundraiser in Faribault), earlier this year and were saving it for a special day. 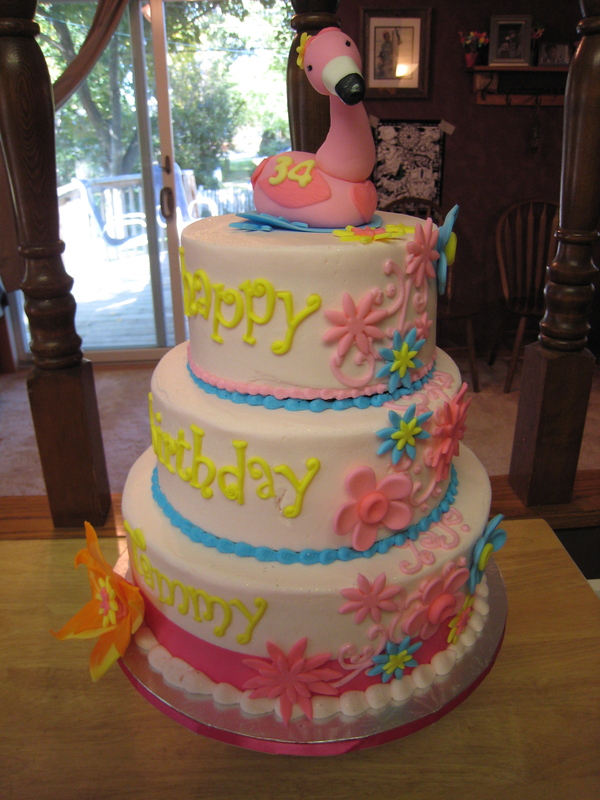 Tammy’s love for flamingos and bright colors were a must for this cake, as well as chocolate cake, red velvet and white vanilla with a variety of fabulous fillings. 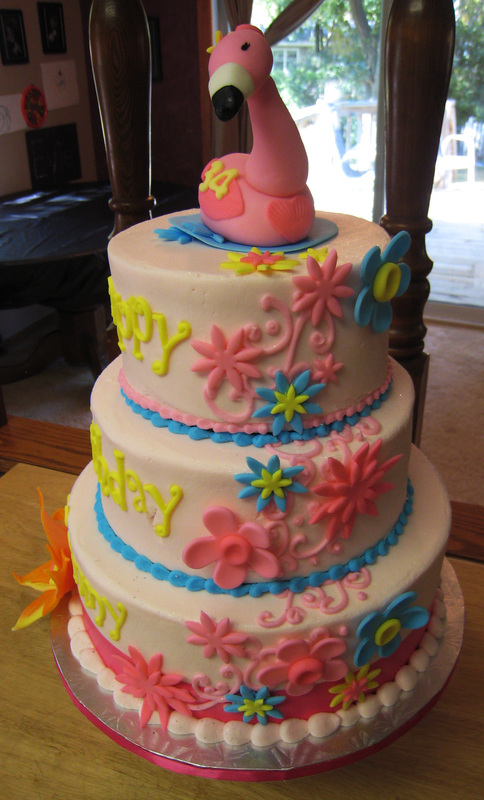 The cake topper is a hand made fondant flamingo and the edible flowers cascading down the side are fondant as well. Each year, Bethlehem Academy holds an annual fundraiser unlike any other. Hundreds of alumni, family, friends and local businesses team up to raise funds that support the development and growth of this private high school. The night was themed ‘South of the Border’, had a silent auction, drawings for cash prizes and a live auction with over 75 items! Confectionery Cake Shop donated a $200.00 gift certificate good for any occasion custom creative cake. 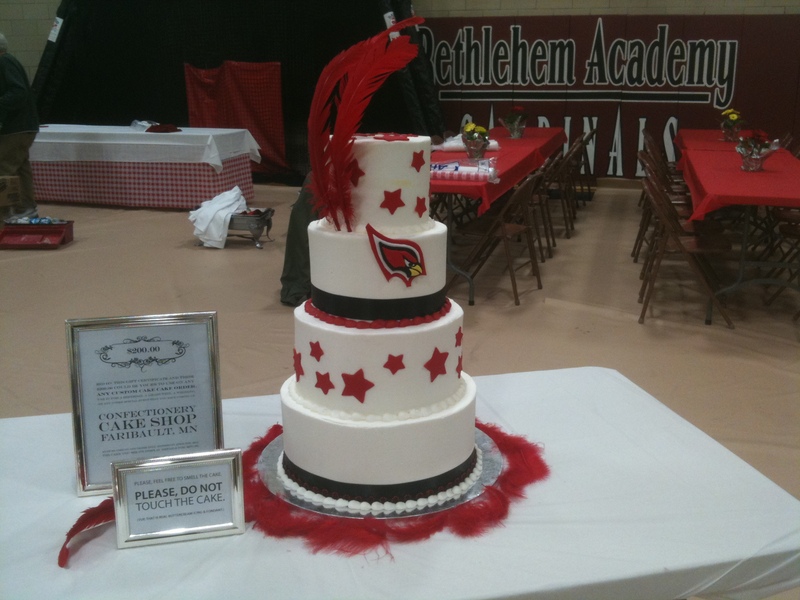 The display cake, decorated with the schools mascot made out of fondant and cardinal feathers, stood in the center of the gym and tempted many to touch it! 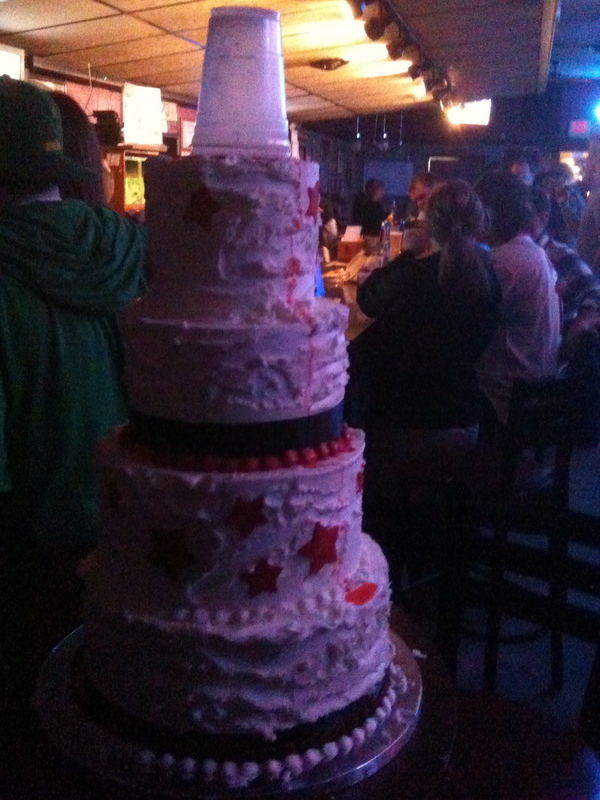 It was so tempting in fact, that the cake somehow found its way to the Signature Bar & Grill later that night and everyone had a chance to poke it all they wanted to and taste a bit of fresh buttercream as well. Hah!